The Nordstrom Anniversary Sale started at 2 am this morning, and I have been up since around that time getting this blog post ready for you! I learned last year just how big of a deal this sale is, so I hope I can be the best resource for you this year! Early Access starts today. What that means is Nordstrom cardholders can begin shopping the sale. If you do not have a Nordstrom credit card, then you can still check everything out, but you will not be able to purchase items at the sale prices until the sale goes live to the public on July 20. I got a Nordstrom credit card last month for the sole purpose of this sale because the deals are outstanding, which means things sell out FAST! Nordstrom has free shipping and returns, so you can place as many orders as you want without having to worry about that. With that said, if you see something you like, purchase immediately! I missed out on quite a few of my favorite things last year, so I made sure to purchase quickly this morning! If you don't have a credit card and want to shop today, you still can get approved today! Click here to apply for your credit card! Last thing before I get into my sale picks- the things included in this sale are mostly brand new fall items. I know it's kinda hard to think about sweaters and boots when it is still so hot outside, but it is the best time to buy these items because some of them will never be restocked and some of them will never be put back on sale again. I know I'm excited to stock up my closet with brand new fall staples while they are on sale! In this section, I'm sharing the best basic pieces that I purchased last year and LOVED or have purchased today! This sale can be overwhelming, but I try my best to only purchase the best basic pieces that I know I will get a lot of use out of! Thread & Supply Wubby Fleece Pullover (sale: $51.90, regular: $78)- This was the first thing I put in my cart! I saw so many bloggers with this soft fleece pullover last year, and I wanted it so badly! It sold out so many times, but I was finally able to order my own today! I got it in the color charcoal. Nordstrom suggests sizing down one size because it runs large. I like things like this to fit oversized (and I know I will be growing), so I sized up to a large. Zella Leggings (sale: $35.90, regular: $54)- I got these last year, and they were my most worn item that I purchased from the sale BY FAR! The most comfortable and only leggings I want to wear! They can be worn for exercise or with regular everyday clothes. If you are just purchasing one thing from the sale this year, I suggest these! You can click here to check out the cropped pair (perfect for exercise) and here to check out the maternity pair that I ordered! Spanx Faux Leather Leggings (sale: $72.90, regular: $110)- I also got these last year and love them! They are SO flattering! If you are in between sizes, I would size up. BP Moto Leggings (sale: $25.90, regular: $39)- I got these last year in olive! 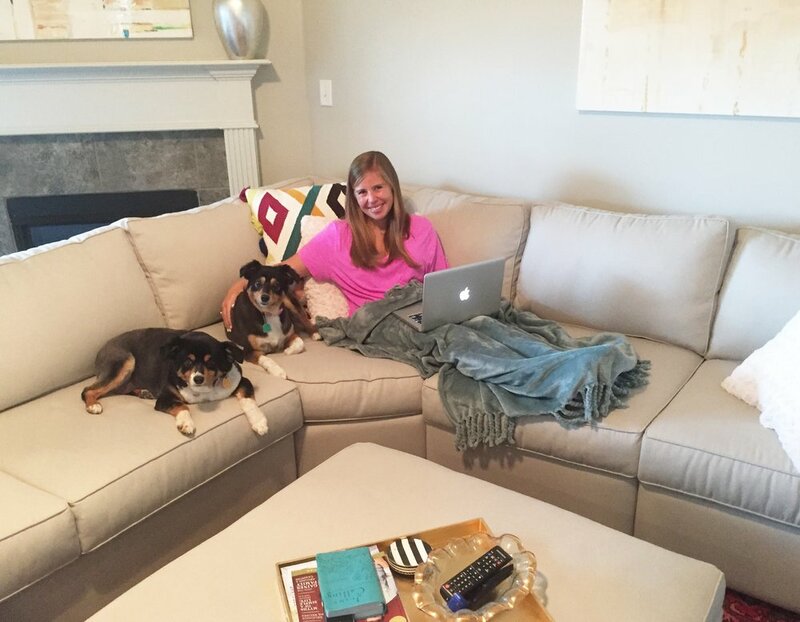 They are the most affordable pair of leggings that are also super soft and comfortable! Worn with this tee that is also part of the sale! BP V-Neck Tee (sale: $11.90, regular: $19)- These sold out so fast last year that I never got my hands on one. I did get the long sleeve version in white, black, and olive though. I wore them on repeat all fall and winter. They are the best basics for such affordable prices and SO soft! BP Long Sleeve Scoopneck Tee (sale: $18.90, Regular: $29)- This is the tee that I was just talking about! Perfect fall and winter basic that I got in white, black, and olive last year. These will sell out fast! I had to work hard to order my 3 last year during restocks! It is pictured above with the olive moto leggings! AG Skinny Jeans (sale: $149.90, regular: $225)- AG makes my favorite designer jeans. If you are going to splurge on a pair of jeans, I highly suggest these! The fit is fabulous, and they are so comfortable too! The Farrah is another style that I love. Plush Throw (sale: $25.90, regular: $39.50)- the softest and highest quality blanket you will ever find for this price! It comes in 17 colors! I have one, and I'm ordering more! My mom, sister, mother-in-law, and I all have it. And I have gotten several of them monogrammed and given them as Christmas gifts and baby gifts! I can't recommend it enough! This Free People tee (sale: $31.90, regular: $48) is such a fabulous long sleeve basic tee! The length and soft fabric are my 2 favorite parts. It comes in 7 colors, and it will sell out quickly! I am wearing it here with my favorite Zella leggings and Hunter boots that are both also included in the sale! 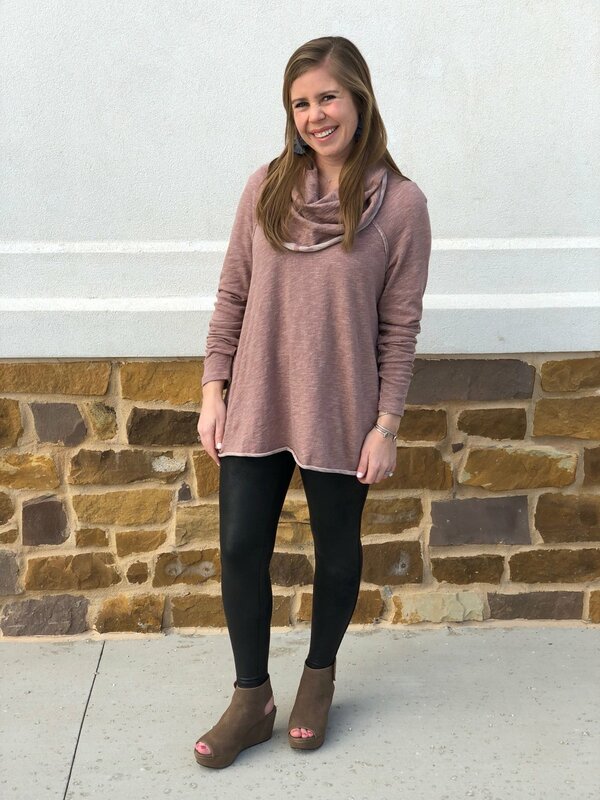 This Free People thermal (sale: $44.90, regular: $68) is adorable, comfy, and comes in 4 colors! This plush throw (sale: $25.90, regular: $39.50) is the softest and highest quality blanket you will ever find for this price! It comes in 17 colors, and I'm ordering more! My mom, sister, mother-in-law, and I all have it. And I have gotten several of them monogrammed and given them as Christmas gifts and baby gifts! I can't recommend it enough! I shared my favorites, and I'd love to hear what your favorites are! Please let me know if you have any questions about anything! I'm always happy to help! I cannot wait for my purchases to come in! Thanks so much for reading! Have a great day!